From his time as a founder Galaxie 500 and hers in a similar capacity with The Belltower, through to their first collaboration together as Luna and subsequent marriage three years ago, Dean (Wareham) & Britta (Phillips) have proven to be an enigmatic yet exceptionally creative duo, whose music has withstood the test of over two decades. Even since the demise of Luna they've kept themselves busy writing incidental music for celluloid, as well as putting out a couple of albums of their own, the most recent of which, 2007's Back Numbers coincided with the couple being joined together in matrimony. 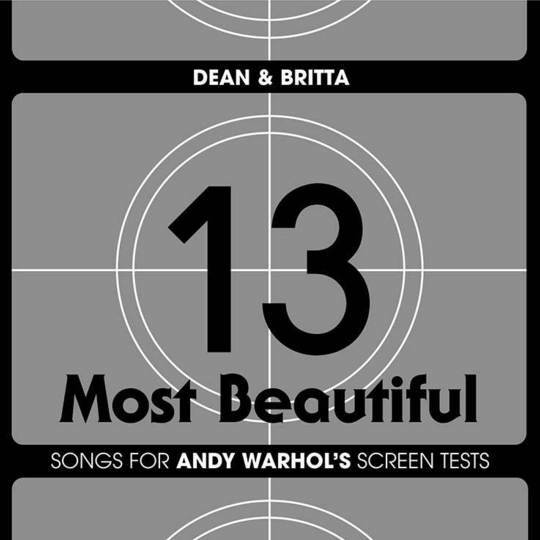 Since then, most of their time has been taken writing, creating and in some cases re-interpreting the 13 tracks that 13 Most Beautiful: Songs For Andy Warhol's Screen Tests is comprised of. The project, initially commissioned by the Andy Warhol Museum in Pittsburgh, involved Wareham and Phillips performing the 13 pieces live as part of a multimedia enterprise while projections of Warhol's Screen Tests - a collection of silent films each one of which is four minutes and 15 seconds in length, made between 1964 and 1966, featuring subjects such as Lou Reed, Nico and Dennis Hopper - played out on a large screen above them. The tour for 13 Most Beautiful... has run for 18 months now, taking in approximately fifty shows around the world in the process, with many more still scheduled well into next year. However, the album itself works as a collection of pieces even without the visual aids, courtesy of both its creators attention to detail and the odd helping hand from the likes of Sonic Boom and My Robot Friend. Of the covers and reworkings of old songs, Britta's version of Bob Dylan's 'I'll Keep It With Mine' stays truer to Nico's interpretation that appeared on her Chelsea Girl album, although the Scott Hardkiss mix's heavy use of the vocoder reduces her voice to something comparable to Cher's 'Believe' at times. Dean Wareham's '(I'm) Not A Young Man Anymore', one of the Velvet Underground's more obscure compositions, receives something of a krautrock makeover courtesy of My Robot Friend's insistence of repetitive beats coinciding with Wareham repeating the chorus incessantly until the song fades. Elsewhere, 'Herringbone Tweed', basically Luna's 'The Enabler' off their 1996 EP_ rewritten as a slow burning instrumental has a captivating air of grace around it like _Lazer Guided Melodies era Spiritualized. 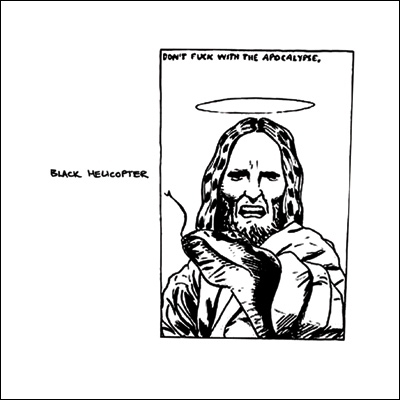 Of the other ten compositions, all original pieces created by Dean & Britta, the influence of the Velvet Underground comes to the fore at regular dispersions. The opening instrumental 'Silver Factory Theme' with its perfunctory cautious build-up into a hazy organ-led melody and heavier 'Incandescent Innocent', again without any vocals both fit the minimalistic theme of its subject matters to a tee. Similarly the haunting 'I Found It Not So', its key lyrics being "I'd like to follow you some place we could go, no one else would be around to tell us what to do" proves both menacing and lovelorn in its execution, Wareham's vocal suiting the song's mood like a world weary Lou Reed or John Cale. Moving on, 'Teenage Lightning And Lonely Highways', one of two Sonic Boom remixed pieces here, could almost have been written by the man himself, its lazy drone punctuated by a lonesome voice proclaiming "I got pills that make me happy, I got pills that make me cry". The other Pete Kember-assisted number, 'Richard Rheem Theme', is a more bluesy, psychedelic instrumental number, not too dissimilar to his earlier solo work (or indeed that of Dean & Britta circa L'Avventura). The country stylings of penultimate ballad 'Eyes In My Smoke' and Britta Phillips' eerie whispers on 'Knives From Bavaria' take 13 Most Beautiful... into more tranquil, if slightly murkier waters, while the closing 'Ann Buchanan Theme', its hookline seemingly borrowed from the old Gene Pitney standard '24 Hours From Tulsa' brings the album to a pulsating finale. What is most fascinating about 13 Most Beautiful... is just how much these songs work as individual pieces of music in their own right. Place them all together in the sequence Wareham & Phillips intended whilst accompanied by Warhol's film sketches and you have one of the most exhilarating audio visual creations conjured up in many a year.